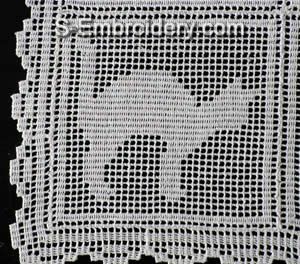 A set of 9 freestanding lace crochet machine embroidery designs. 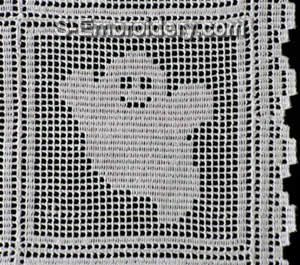 The set includes 4 Halloween freestanding lace crochet squares, 4 FSL crochet borders and a FSL crochet corner embroidery design. 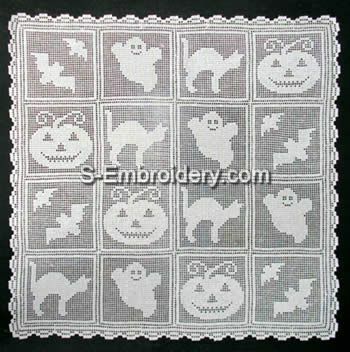 Note: Images of the stitched out Halloween machine embroidery designs are available further down this page. 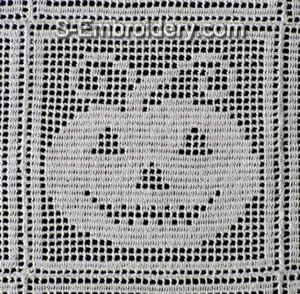 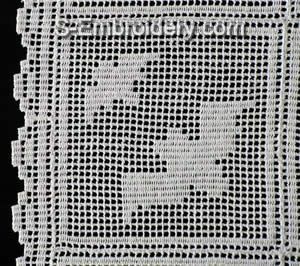 Our delivery includes the 9 machine embroidery designs as well as design information and instructions in PDF format.